Longfin is a small import-export financier that was little known before buying Ziddu, a blockchain company specializing in business-to-business warehouse payments. 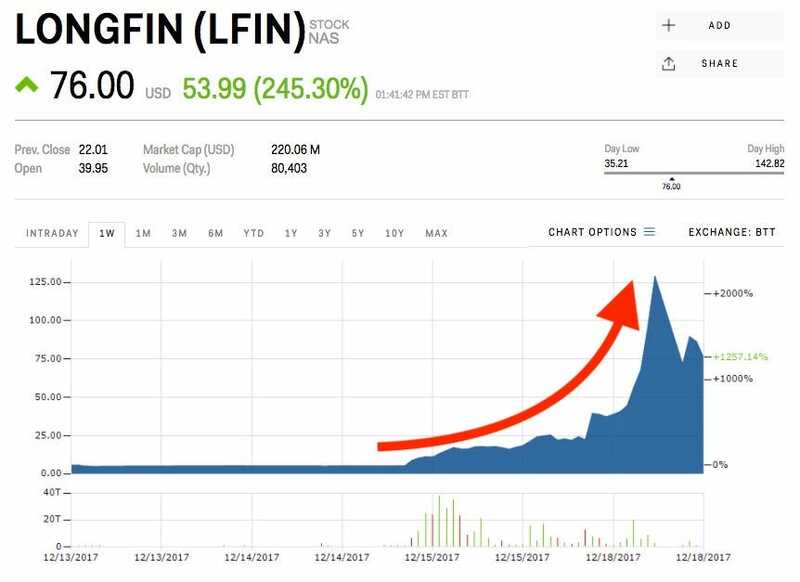 Longfin shares skyrocketed 2,400% in a matter of days after buying Ziddu. Shares were up more than 500% on Monday before crashing off their highs. Longfin still trades up 240% on Monday. Longfin is the most recent example in a long-running list of companies that explode after pivoting to cryptocurrencies or announcing a new focus on blockchain technology.